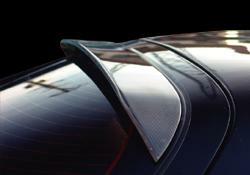 Origin USA Spolier - Roof Wing - Dezod Motorsports Inc - Home of the automotive performance enthusiast since 2002. Origin roof wings add a sleek aggressive line to the rear of your vehicle as well as allowing clean airflow over the rear on the car. Available in both FRP and Carbon.